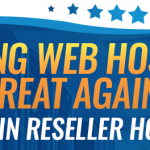 A lot of our Resellers want to have the ability to resell our VPS Hosting packages. 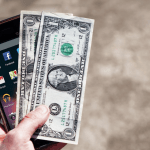 Given our low prices, many Resellers find comfort in being able to offer the same high-speed infrastructure to their larger customers that require more dedicated resources. 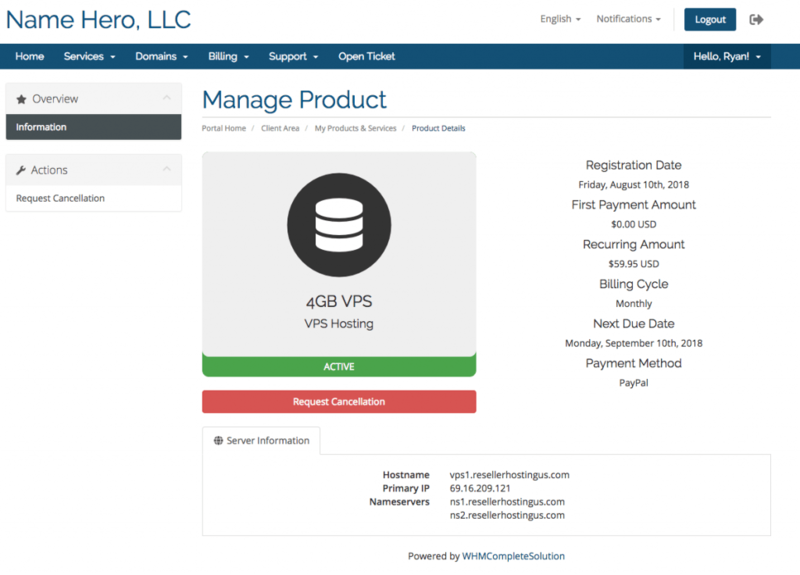 For this reason, we’ve designed all our VPS hosting packages to be 100% white-labeled so you can offer them to your customers without them ever seeing NameHero. 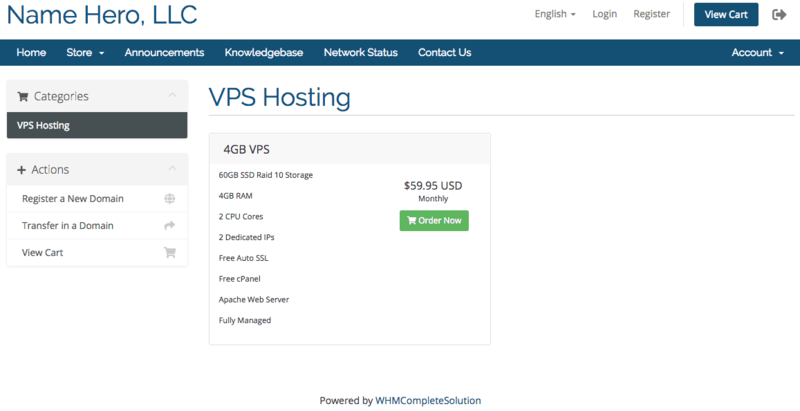 While there are a couple different ways to do this, I’ve decided one of the recommended ways for those that want to begin offering this using WHMCS. 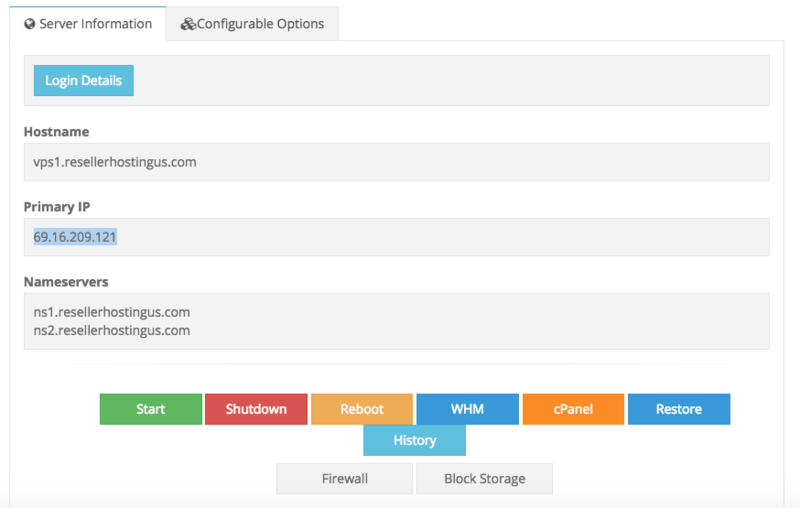 If you haven’t already installed and configured your WHMCS, I have plenty of tutorials on how to do this. You’ll want to have it running before proceeding. 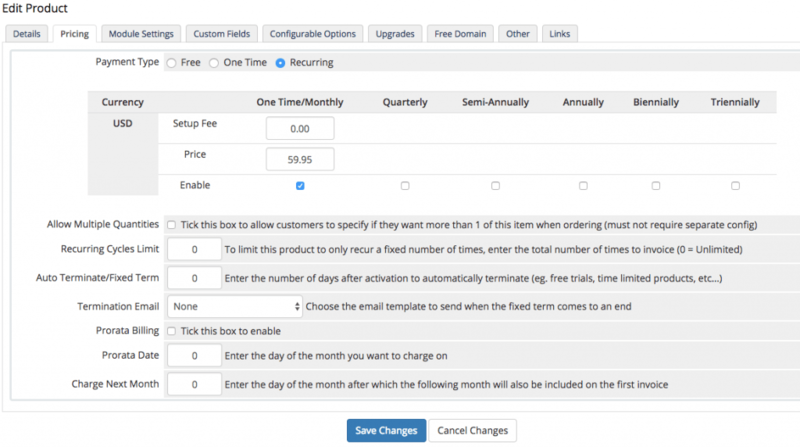 Inside your WHMCS admin area, you want to create a new product group. 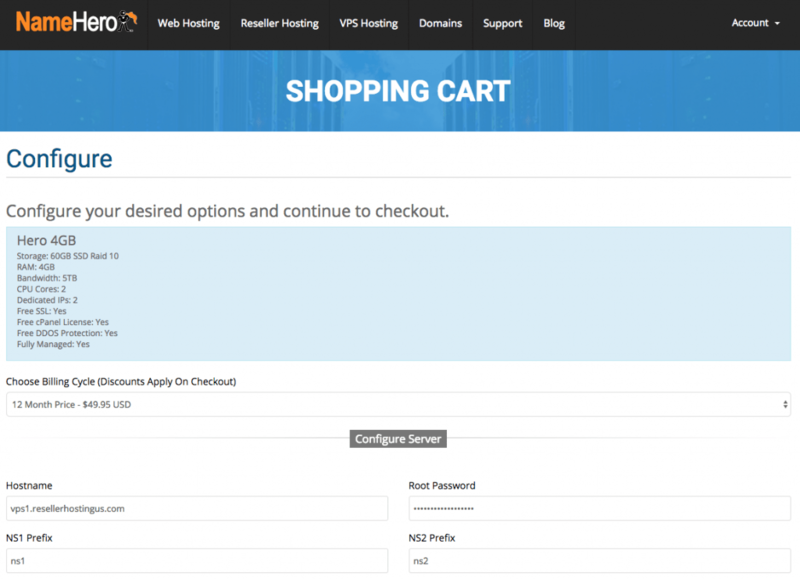 To do this, login to your admin area and navigate to Setup -> Products/Services -> Products/Services. 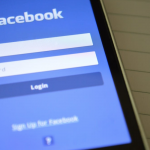 Once your product group has been added, you then need to Create a New Product. 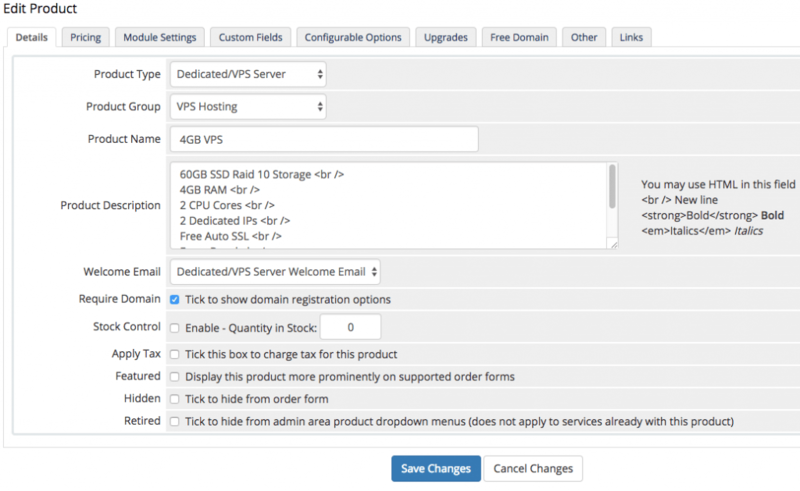 You’ll want to select Dedicated/VPS Server as the Product Type and then select the Product Group you created in the pervious step. 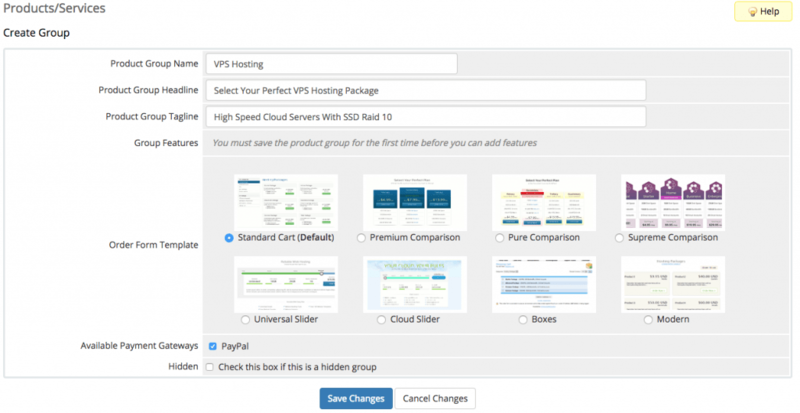 You can then name the product whatever VPS hosting package you’re wanting to resell. In my example, I’m using the 4GB VPS. Once the product has been created, you want to add a Product Description that explains the package and assign it a welcome email. You can define any of the other options that may pertain to your business. 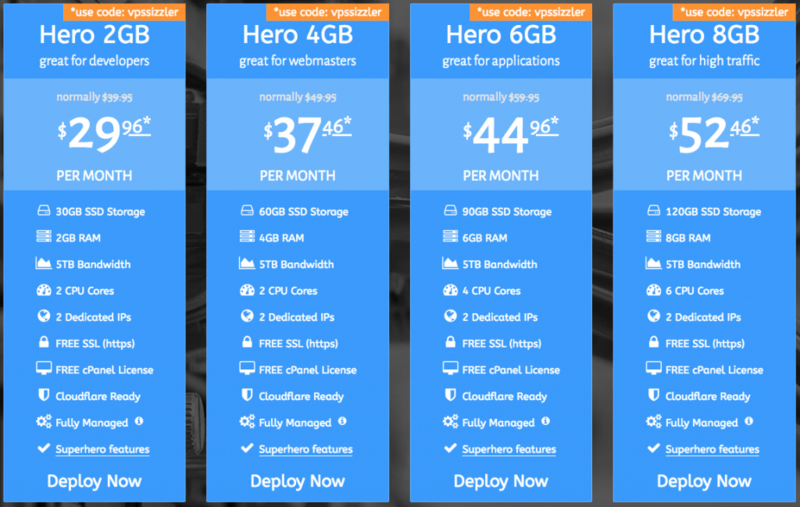 For this demo, I’m only setting up monthly pricing, but you may want to give your customers a few different options and discount the price if they decide to pay longer (that’s what we do here at NameHero). 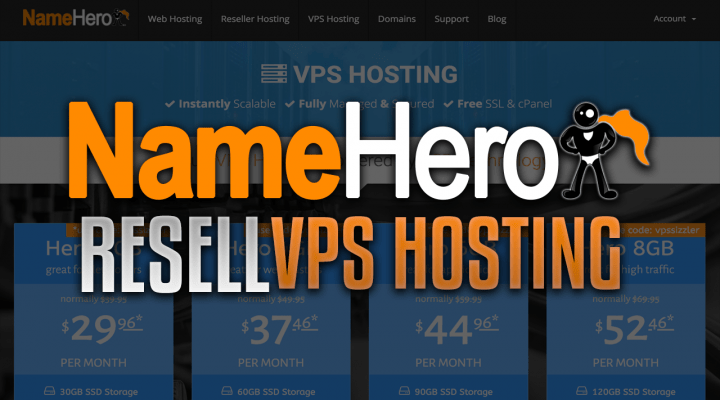 Since this requires you to manually setup the VPS at the NameHero end, I like to use Auto Release. Basically when someone orders it’ll Add a To-Do List Item to remind you that you need to create their server. You could also chose the Create Support Ticket option that will automatically make a ticket for the customer so you can update them when their server is online (maybe a better option). I also use this is a customer needs suspended, terminated, or unsuspended. Finally, I’m setting this to Auto setup the product as soon as it’s placed, but you may want to wait until payment has been received or wait until you manually verify. The other tabs really aren’t required, but feel free to customize these options to your exact needs, especially if you want to provide upgrade or configurable options. No further action is needed until you get an order from your customer(s). These options defined by your customer, will let you know what you need to order at NameHero. You’ll notice, our pricing is the best discount when you pay for at least 12 months. Regardless the billing cycle your customer chooses, I recommend going with that for the most ROI (return on investment). 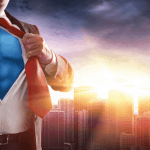 If the customer only stays a few months, we can credit the amount left back to your account (sorry no cash refunds) and it can be used to pay a future NameHero invoice. Place the order and wait 5 – 10 minutes for the server to come online. You can also click on the WHM / cPanel links and provide them the temporary URLs to use until they’re able to add an A record for their hostname. You can also enter the username ‘root’ for them. 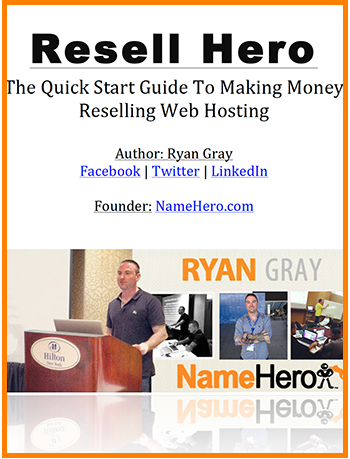 Once again, it’s 100% white-labeled, they’ll never see NameHero, and you can charge whatever price you’d like! This is one way to really boost your revenue. It’s important to note, we’re working on a more “automated” module, but with all the recent changes/updates to WHMCS, it’s taking a bit longer than I expected. We already have hundreds of resellers using this method with great success, so I definitely wanted to get this out and share it with you all! 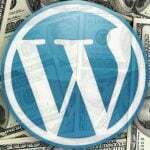 Is it possible to add funds in the existing reseller hosting account, so that there will be no need to accept the orders manually and to wait for the payment process? 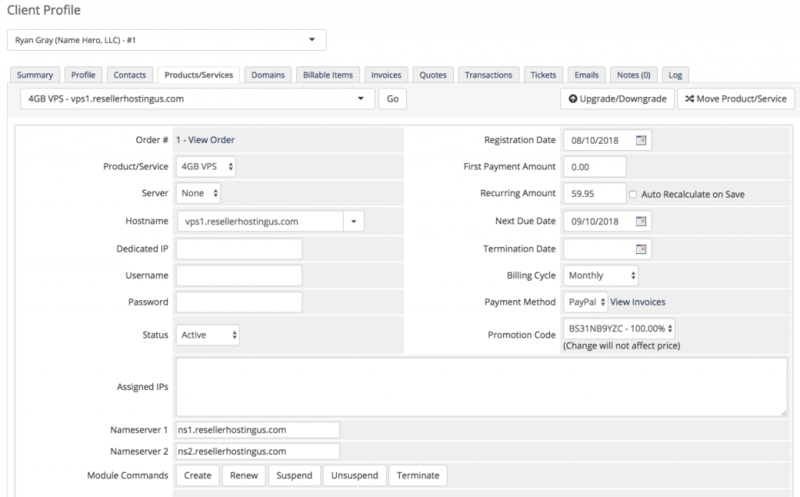 You can add funds to your account so future invoices will draw off that balance, however making the payment at the same time you order will automatically spin up the server. There is no need to wait for the order to be approved as long as you use a strong root password and don’t have any errors in your hostname.